In last month’s blog post, we talked about all of the amazing downhill ski areas surrounding Peterborough. This month, we’re covering snowshoe and cross country ski places and trails that we’re lucky to have practically in our back yards. 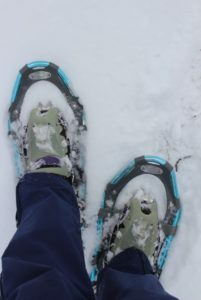 One of the best parts of cross country skiing and snowshoeing in New Hampshire, aside from enjoying a low impact outdoor activity of course, is taking in the sights of the landscape covered in snow. Just because it’s winter doesn’t mean we can’t still have fun outside, right? 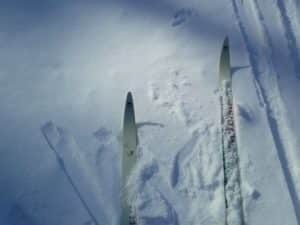 First up on our list is Windblown Cross-Country Ski. Located just outside of Peterborough in New Ipswich, New Hampshire, there are more than 23 miles of trails to enjoy and explore on both skis and snowshoes. With 46 years of experience providing an extensive and beautiful area for skiers to enjoy, the family owned and operated Windblown is a destination favorite among many guests to the area during the winter. A main base lodge at the start of the trails is well stocked with soups and hot drinks to warm up guests, and a crackling fire invites you to take a break. Several other spots on the trails have a warming hut, cabins for rent and shelters to take a break before getting back out onto the trails. For more information, and to see what the day entails in terms of weather, be sure to check out Windblown’s website here. If you’re looking for amazing views of the Monadnock region, we highly suggest strapping on your cross country skis and heading to Dublin. The Dublin School welcomes the public to use their network of nearly 5 miles of trails. There’s a map here and other info about the trails, along with a guest waiver to fill out. 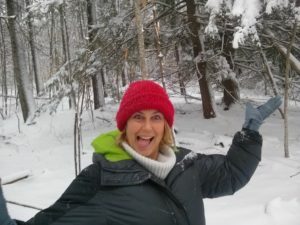 For those interested in strictly enjoying some snow shoeing, be sure to check out the many trails and designated recreation areas in Peterborough.Edward MacDowell Dam, Cranberry Meadow Pond Trail and Shieling State Forest aren’t only beautiful to look at during the summer and fall, but also winter. And the Common Pathway and Old Railroad Trail offer level miles to ski or snowshoe. To see about other trails, be sure to look at the Peterborough Town’s website here for more! Pam is having a blast on her trek through the snow covered landscape. This entry was posted in Winter Sports by Meaghan Woods. Bookmark the permalink. We’ve skied for years at Windblown and McDowell. Great spots, highly recommend! Never knew about Dublin School trails, will check them out. Surprised you didn’t mention snow showing up to or around Mt. Monadnock! Great comment, thanks! We were thinking that Mt. 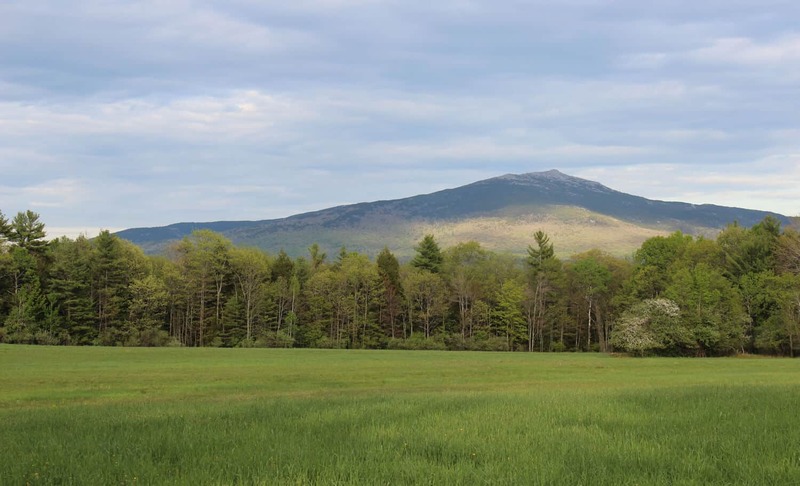 Monadnock deserves its own article – we could explore a different trail each day for a week!